If you’re on Facebook, please consider helping a Kalmyk Girl Scout in the finals of the 2013 Lakewood BlueClaws Scout Patch contest. 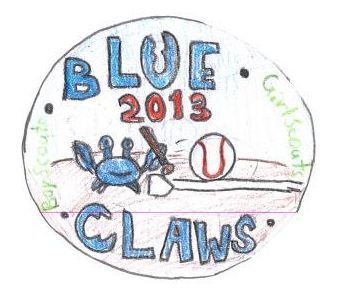 The winning design will be selected as the Scout Patch handed out to all of the scouts at all the Lakewood BlueClaws Scout Nights this season. Please LIKE the “Nicole – Troop 181” badge. By Kalmyk Brotherhood Society in News on April 6, 2013 . Thank you for your help! Nicole won the contest and her badge will be handed out on all the Scout Nights during the Lakewood BlueClaws season. A community that comes together cannot be defeated!